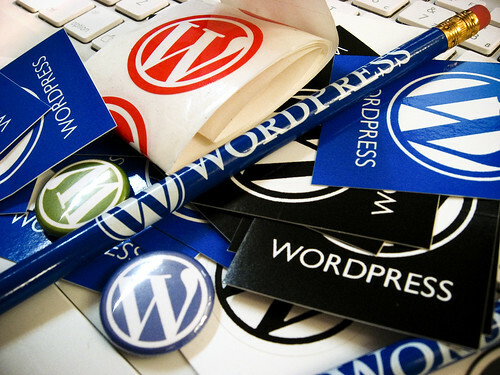 Looking for the most popular and best wordpress plugins used by professional bloggers? After problogging on WordPress for over 2 years, and after developing some wordpress plugins myself, I present you my top favorite 50 Best WordPress Plugins for Power Blogging. The wordpress plugins are arranged broadly by category of usage. As far as I know, all these plugins are compatible with the latest WordPress 2.5 version. Please feel free to suggest great plugins in comments that I can add to this list. Subscribe To Comments – Allows readers to recieve notifications of new comments that are posted to an entry. WP AJAX Edit Comments – Allows users and admins to edit comments on a post inline using AJAX. Close Old Posts – Closes comments on old posts without any DB queries. WP Grins – allows you to put clickable smilies on your post and comments forms. Live Comment Preview – the simplest way to get live comment previews on your site. Show Top Commentators – Encourage more discussion from your readers, by displaying their names and number of comments they have made recently to your sidebar. Comment Relish – Sends a thank you e-mail to your first time commentators. Favatars – displays the favicon associated with the commenters website. Dofollow – lets you remove the nofollow attribute from your comments. OpenID Comments for WordPress – allows users to leave comments using their OpenID. Extended Comment Options – allows you to switch comments and/or pings on or off for batches of existing posts. Get Recent Comments – displays excerpts of the most recent comments and/or trackbacks that have been posted to the articles in your blog. Akismet – intelligently blocks spam comments. Checks your comments against the Akismet web service to see if they are spam or not. Bad Behavior – is a set of PHP scripts which prevents spambots from accessing your site by analyzing their actual HTTP requests and comparing them to profiles from known spambots. WP-Contact Form with Spam Protection – creates a contact form on your blog, through which your readers can contact you easily. Defensio is a spam filtering web service to block comment spam. Digital Fingerprint – useful for detecting content theft. Google XML Sitemaps Generator – creates a sitemap of all articles on your WordPress blog. Helps Google and other search engines index every article you write. Permalink Redirect – replies a 301 permanent redirect, if requested URI is different from entry’s (or archives) permalink. It is used to ensure that there is only one URL associated with each blog entry. Head META Description – Insert HTML META description tags using post excerpts. Enforce www. Preference – will help preserve your permalinks by enforcing your no-www or yes-www preference and will strip off index.php from the ends of URIs. Broken Link Checker – monitors and notifies you for broken links on your blog. Quick META Keywords – will automatically add META Keywords tags to every single post based on categories under which the article is categorized. Related Entries – Returns a list of the related entries based on active/passive keyword matches. Increase pageviews by providing targeted related content. Yet Another Related Posts Plugin (YARPP) – gives you a list of posts and/or pages related to the current entry. WP-PageNavi – Adds a more advanced page navigation to WordPress, which is very useful for navigation on index and category pages. Evermore – Abbreviate all posts when viewed on multiple post pages. Helpful to create expandable posts summaries in WordPress. Combine with Less that changes the (more) link so it displays the entire post, not just the part after the “more”. Random Redirect – Allows you to create a link to a random post on your blog. Lets readers browse in a StumbleUpon-like fashion. Homepage Excerpts – Gives flexibility to use both full posts and excerpts on the homepage. WordPress Mobile Edition – shows an interface designed for a mobile device when visitors come to your site on a mobile device. Popularity Contest – keeps a count of your post, category and archive views, comments, trackbacks, etc. and uses them to determine which of your posts are most popular. Extended Live Archive – implements a dynamic, AJAXified way of digging into the archives of a blog. Clean Archives – designed to display your archive listings in a clean and uniform fashion. It lists the Month / Year, the day of the month the article was published, the title of the article, and the number of comments that have been made on each article. Custom Query String – set the number of posts (custom queries) for every single page on your website like categories, archives, or search results pages. KB Advanced RSS Widget – a wordpress widget that gives you complete control over how RSS feeds are parsed for your sidebar. Permalinks Migration Plugin – safely change your permalink structure without breaking the old links to your website or affecting your search engine rankings. Share This – lets your visitors to add your post to various social bookmarking sites, or send a link via e-mail to a friend. WP-Email – Allows people to recommend/send your WordPress blog’s post/page to a friend. Viper’s Video QuickTags – easy posting of videos from various websites such as YouTube, DailyMotion, Vimeo etc. TweetSuite – integrates Twitter with your blog with server-side TweetBacks, ReTweet-This buttons, digg-like Tweet-This Button, automatic tweeting of new posts etc. WordPress Database Backup – On-demand backup of your WordPress database. Back up your blog today. WP-Supercache – A modification of WP-Cache that produces static html files. DB-cache – another caching plugin which claims your site will work much faster and will use less disk space for cached files. WP-DBManager – Lets you to optimize database, repair database, backup database, restore database, delete backup database , drop/empty tables and run selected queries. PodPress – adds lots of features designed to make WordPress the ideal platform for hosting a podcast. TinyMCE Advanced – adds 16 plugins to TinyMCE, the WordPress wysiwyg editor. Adds over 40 new buttons to the toolbar, which is now two rows plus one hidden row. Exec-PHP – allows php tags inside the content or excerpt of your posts and pages to be executed just as in usual PHP files. Photo Dropper – lets you add free photos (Flickr / Creative Commons) to your blog posts without leaving WordPress. WordPress.com Stats – Tracks views, post/page views, referrers, and clicks. Requires a WordPress.com API key. Admin Drop Down Menu – eliminates the need for this double clicking on the Admin screens by allowing you to see the second level menu just by placing your mouse over a main menu. Maintenance Mode Plugin – Adds a splash page to your blog that lets visitors know your blog is down for maintenance. Logged in administrators get full access to the blog including the front-end. Theme Test Drive – allows you to safely test drive any theme on your blog as an administrator, while visitors continue to see the default one. Ad Rotator – Rotates Ads randomly from a specified text file. AdSense-Deluxe – is a WordPress plugin offering advanced options for managing the automatic insertion of Google AdSense or Yahoo Publisher Network (YPN) ads to your WordPress posts. More Google Adsense WP plugins. Buy Me a Beer – allows your readers to donate money to you via PayPal on pretext of buying a beer. WordPress BankRoll – offers to help you cut out the middleman by allowing advertisers to buy reviews directly on your blog. Global Translator – Translate your blog into multiple languages in a search engine friendly way. Translator Plugin Pro – provides automatic machine translation of your blog in 13+1 languages. Costs $30. Simple Feed Copyright – adds a simple copyright notice to full text wordpress feeds. Democracy – adds AJAX polling functionality to your WordPress blog. flickrRSS – allows you to easily display Flickr photos on your weblog. I know there are many great wordpress plugins out there I might have missed, please suggest them in comments.